MCKINLEYVILLE – On Saturday Aug. 27, an armed robbery occurred at the Alliance 76 Gas Station in Arcata. 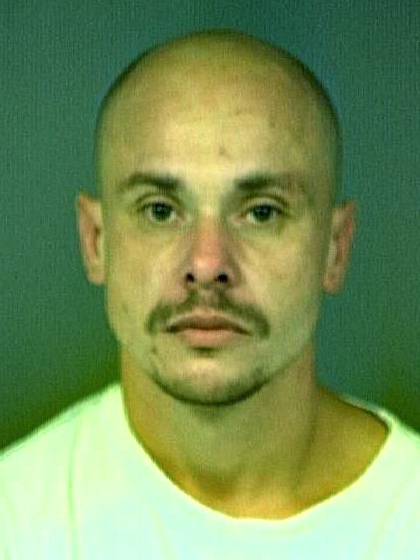 Over the course of the investigation, Raymond Jonathan Eacret of McKinleyville was identified as the suspect in the robbery. An arrest warrant was issued for Eacret, who is currently on parole. Several unsuccessful attempts were made to take Eacret into custody over the past month. On Thursday, Oct. 6, acting on a citizen tip, detectives from the Arcata Police Department, agents from California State Parole and deputies from the Humboldt County Sheriff’s Department, located and arrested Eacret without incident in the 1400 block of Terrace Lane in McKinleyville. This entry was posted on Thursday, October 6th, 2011 at 11:52 am	and is filed under News. You can follow any responses to this entry through the RSS 2.0 feed.